All your books are unique in the sense that you wrote them in English and French. Can you tell us about your process? French is my mother tongue but English became the dominant language when I moved to the United States. Actually it took over even before, when I wrote my thesis on Henry James for my Masters at the Sorbonne. I was already an anglophile, having lived and studied in England, and I loved writing in English. So I wrote my first book in English. It was my first publisher’s idea that I present it as a bilingual collection. This turned out to be a brilliant idea because the books become a dance between languages. I was born in Paris and grew up all over Europe. French was my first language, but my mother started speaking Greek to me early on. My father is from Spain. He was born in Ibiza and grew up in Ibiza, Barcelona and Tarragona (Cataluña), Córdoba (Andalucía), and Madrid. We also spoke Spanish at home. We moved to Geneva, Switzerland, almost right away, where my brother was born. In Switzerland, everything is written in three languages: French, German, and Italian. So you end up picking bits of German and Italian. I wanted to learn German and a friend of parents started teaching me when I was ten or eleven. I then took classes at the Goethe-Institut when we moved back to Paris. I was awarded a fellowship by the DAAD to study in Bremen, Germany. In school I studied English, Spanish, and Latin. I later took a crash course in Italian in order to take a job as a guide in the Dolomites in Northern Italy. My brother and I would spend part of our summers in Spain with our grandparents. That’s really how we became fluent very early on. Complete immersion. I then studied English and Spanish at many universities. How do all the languages influence you and your writing? I think they stimulate the mind in different ways. I’m naturally curious about other cultures. Having been raised in a very international environment makes me a citizen of the world. Both my parents were immigrants. My mother left Greece to move to France. My father escaped the Franco dictatorship so as not to be jailed for his writing. That’s how my parents met. I am an immigrant too. After moving to the U.S., I became an American citizen. So I’m keenly aware about not fitting into molds. I wasn’t the typical French girl growing up. At home, all my parents’ friends were foreigners. My dad worked for the United Nations in Geneva and Paris, among other places, and his colleagues were mostly from South America or Spain, but also from Iran and other countries. I literally grew up in the U.N., which is a microcosm of the world. So very early on I would transition between languages and countries. It’s harder to be nationalistic when you’re made of several countries. It opens up your mind. When you learn new languages it creates synapses in the brain. They inform my writing, consciously, and unconsciously. All kinds of associations come to mind when I read or write. You are a poet, writer, translator, actor, and editor. How do you juggle all this? I wear many hats. It’s like living parallel lives. And I love it when they intersect. Acting and writing are my passions. Translation was always part of my life. The various editorships have been wonderful opportunities to publish many voices. They all inform one another. Tell us about the dreamwork. My acting coach Sandra Seacat introduced me to dreamwork in New York as a tool to develop a character in a play or movie. The idea is that your inner self has all the answers and will give them to you, as long as you’re meant to know what you’re asking for. It’s inner work. I’ve continued to train with different teachers and shamans. Dreamwork is medicine for the soul. In the dream we are connected to our inner self and to the divine. We experience the dream’s intelligence and the world psyche. Everything in the universe is connected. Dreams provide insight into the personal and archetypal dimensions of the unconscious. I also studied astrology in New York with Eileen McCabe and kept at it. Astrology reflects the cycles in our life, planet, and world. Both dreamwork and astrology help us integrate our conscious and unconscious selves so we can explore our path, gain self-insight and wisdom, and fulfill ourselves. Is it true you adopted a wolf? Yes, I love wolves and support the UK Wolf Conservation Trust and Defenders of Wildlife. The UK Wolf Conservation Trust has this program where you can adopt a wolf. They sent me a little jar with a tuft of Motomo’s hair. It sits on my desk. Wolves are extremely intelligent. We are becoming more and more aware of how intelligent animals are. They are sentient beings just like us. Wolves use symbols, rituals and common sense reasoning powers, are very social and live in a highly organized society, where each plays a role. For instance one is the medic, etc. Reintroducing the wolf to Yellowstone National Park transformed the entire ecosystem. Wolves are ecosystems engineers. There is a wonderful short film called How Wolves Change Rivers, which shows how they regenerated Yellowstone. They changed the behavior of the deer, and the trees and forests regenerated. The birds, beavers, otters, ducks, fish, and hawks and so many other species of animals increased. Rivers even changed course, which was great for wildlife habitat. Tell us about the poem featured in TNB. To Kitty, Who Loved the Sea and Somerset Maugham is dedicated to my mother. I was very close to her and still miss her terribly. She was the only one who believed in me when no one else did. It’s the opening poem of Life in Suspension / La Vie Suspendue, my third bilingual poetry collection, just out from Salmon Poetry. What have you been writing and translating lately? I just finished co-translating — with Yves Lambrecht — Walt Whitman’s Civil War Writings for the Iowa International Writing Program’s WhitmanWeb. It was a ten-month long endeavor. The Civil War Writings retrace Whitman’s writing and service as a volunteer nurse during the American Civil War. We also translated the in-depth commentaries that scholars Ed Folsom and Christopher Merrill wrote for each text. The poems and texts are thus bookended with a foreword and afterword. They explore how writing and image can be used to examine war, conflict, trauma, and reconciliation in Whitman’s time and today. I’ve also been translating poetry by Franco-Syrian poet Maram Al-Masri. Some translations were published in the Plume Anthology 4. New translations are forthcoming in Hayden’s Ferry Review and the new issue of Fulcrum: An Anthology of Poetry and Aesthetics. And some translations of French poet Eric Sarner were just published in The Brooklyn Rail’s InTranslation. Beyond Elsewhere, my translation of Plus loin qu’ailleurs by Gabriel Arnou-Laujeac, just came out from White Pine Press. It was awarded a Hemingway Grant by the French Ministry of Culture, the Institut Français, and the Cultural Services of the French Embassy. For quite some time I’ve been translating the poetry of my father José Manuel Cardona from Spanish. You can read some of the poems in Waxwing Magazine, Taos Journal of International Poetry and Art, The American Journal of Poetry, NATIONAL TRANSLATION MONTH, Plume, and TAB: The Journal of Poetry & Poetics. I’ve translated an essay from Christiane Singer’s book N’oublie pas les chevaux écumants du passé. It’s forthcoming from Asymptote. I’ve also written some children stories and co-written, with John FitzGerald, the screenplay Primate, based on his novel. You were also a musician and dancer. How do music, dance, poetry and acting feed you? I played the piano for many years. I graduated from the Music Conservatory in Geneva with the second prize in Piano and continued training under Maître Sancan at the Salle Pleyel in Paris. I started dance classes with a Russian master in Geneva, then transferred to the Music Conservatory, and continued to train in Paris, where I performed with the Vera Krylova dance company at the Théâtre des Champs-Élysées, and kept dancing when I moved to New York. Sydney Pollack based the Nicole Kidman character in The Interpreter in part on my life by making her a Sorbonne linguist and a musician. It’s the same part of the brain that corresponds to music, languages, and mathematics. I was a math major too. Whether writing, dancing, or performing, I find myself in an exalted state of concentration and consciousness, like a meditation or trance. I feel like time stops or expands and I’m able to touch other worlds and keep a sense of connection with what is bigger than me. 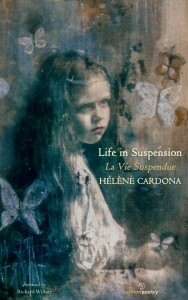 HÉLÈNE CARDONA’s books include three poetry collections, most recently Life in Suspension and Dreaming My Animal Selves (Salmon Poetry); and three translations: Beyond Elsewhere (Gabriel Arnou-Laujeac, White Pine Press), winner of a Hemingway Grant, Ce que nous portons (Dorianne Laux, Éditions du Cygne), and Walt Whitman’s Civil War Writings for WhitmanWeb. She co-edits Plume and Fulcrum: An Anthology of Poetry and Aesthetics, and contributes essays to The London Magazine. She holds a Master’s in American Literature from the Sorbonne, and taught at Hamilton College and Loyola Marymount University. Acting credits include Chocolat, Jurassic World, The Hundred-Foot Journey, Dawn of the Planet of the Apes, X-Men: Days of Future Past, Mad Max: Fury Road, and Mumford. 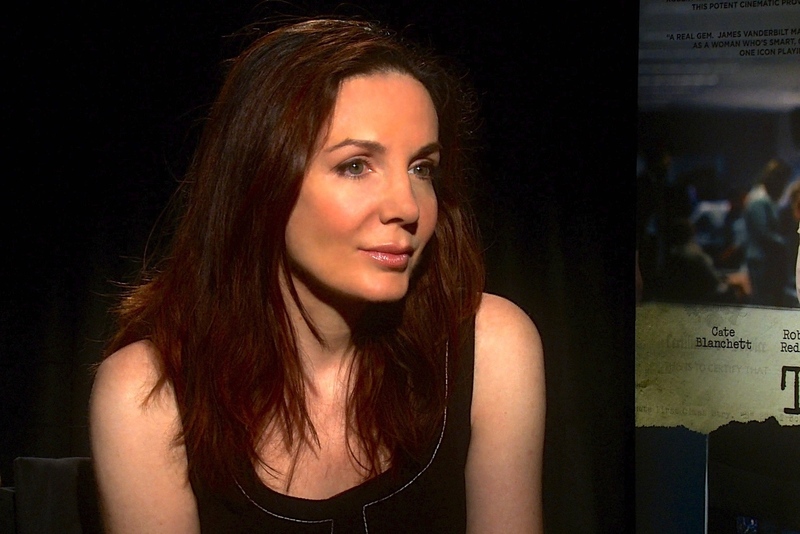 She is the Computer Voice in the TV series Heroes Reborn.